Prezi is an online presentation maker that features a unique 3D zoom animation to move between slides. Teachers and students can turn ordinary slide presentations into more stylish and potentially more engaging experiences than those made with other presentation software. 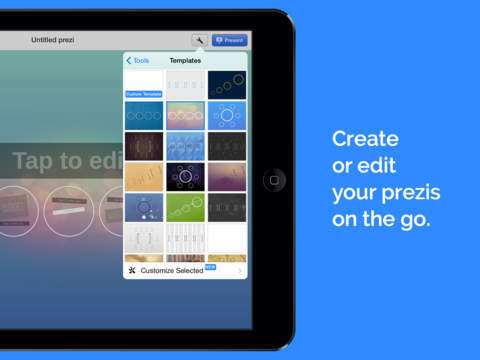 Prezi supports uploading Power Point slides or creating new presentations from scratch or templates. Account setup is simple, support tutorials are helpful and clear, and the end results are professional looking presentations. Prezi is easier to manage and it is more engaging to the students. The interface takes a short time to understand and then you feel like a pro! The movement between topics really helps to keep viewers attentions. Users are able to personalize their presentations with uploaded images and embedded videos and import sound files and are also able to download their presentations to use offline as an html file. Prezi also allows users to collaborate together on a presentation and share it with other users. - 15 beautiful templates with different styles and structures. - Change layouts to fit your content. 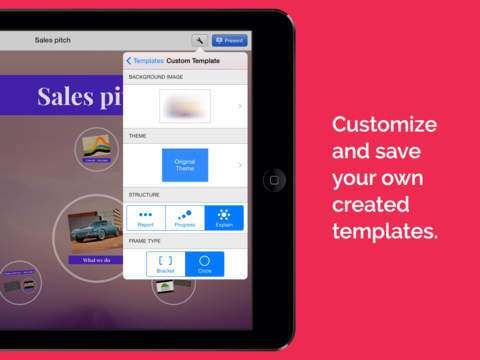 - Add new frames to extend your presentation. - Insert images from the web, your own library, or take a photo. - Save your prezi from the app, it will be accessible online. 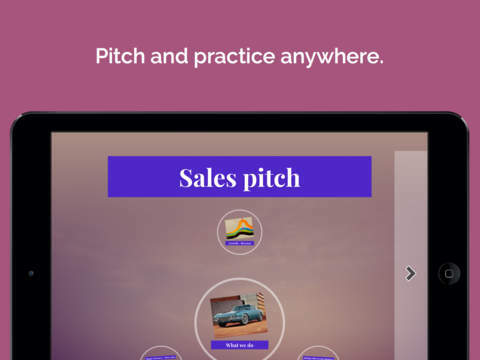 - Present from your iPad (tap on the sides to navigate). 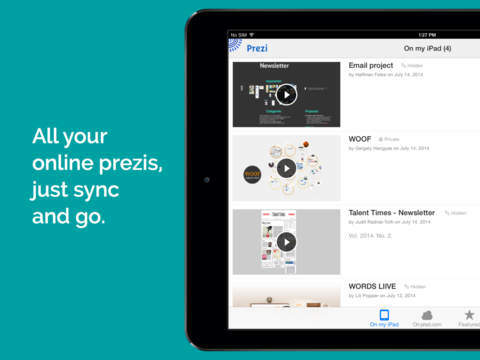 - Retouch your prezis on the move: Prezi for iPad keeps your prezis synced.